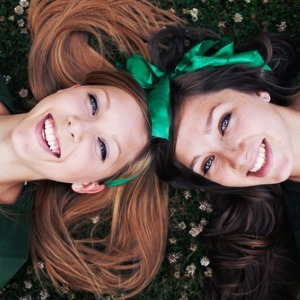 Spending time with friends on St. Patrick's Day can help you turn bad luck around. "Why do I have such bad luck?" It's a question that everyone asks every once in a while, especially around holidays like St. Patrick's Day. Figuring out how to reverse bad luck might seem like an insurmountable task, but it's possible if you put some of these strategies into play. While the concept of karma might sound esoteric, it's simpler than it sounds. When you perform good deeds, you generate good karma, which means that good things are more likely to happen to you. Of course, there's the other side of the coin. If you take advantage of people or perform other bad deeds, you're likely to attract bad luck. Essentially, karma boils down to consequences. If you realize that every action has a consequence, you can start making choices that align with good karma, which might help you learn how to remove bad luck. You've probably heard the superstitions that surround good and bad luck. If a black cat crosses your path, watch out; knocking on wood will prevent a jinx. While they might sound silly, researchers have actually determined that these rituals could stem a stream of bad luck. You're taking action, which means you're accepting responsibility for your current situation and making a move to resolve it. This alone can turn your luck around and give you the confidence necessary to take risks. You could also consult an online clairvoyant for guidance and support. Have you ever felt that a negative outcome came to be because you focused too intently on it? This is because your thoughts reflect the direction of your energy as well as your intentions. If you stop thinking negative thoughts, you might stop attracting bad luck. Getting rid of bad luck means focusing on the blessings in your life. If you have trouble turning aside negative thoughts, a phone psychic could help you resolve those issues and move past them. Plagued by bad luck? Engineer a little good luck! Create a small goal for yourself, such as finishing a home improvement project. When you complete it, the sense of accomplishment will carry over to the next task. In other words, you're creating your own good-luck streak. Don't attempt big-ticket goals until you have a few wins in your pocket. If you neglect yourself and your needs, you might experience a streak of bad luck. Maybe you've skipped a few doctors' appointments, driven yourself too hard at work, or put everyone else's needs ahead of your own. Decide right now to give yourself the attention you deserve. Carve out some time each day for an activity you enjoy, whether it's reading a book, spending time with friends, or taking a walk in the park. The more you take care of yourself, the more good luck you'll attract. Many people Google "how to remove bad luck" every day. You're not alone. However, if you follow the tips above, you can turn that bad-luck streak into a future of good luck.